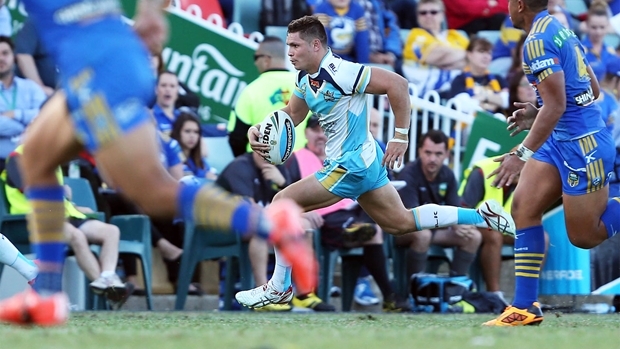 Gold Coast Titans 38 (Roberts 3, Taylor, Zillman, Mead tries; Sezer) defeated Parramatta Eels 16 (Wicks, Robinson, Hopoate tries, Sandow 2 goals) at Pirtek Stadium. Crowd: 11,136. Previous Another Rooster About to Leave the Tricolours?